A 10% return on your investment would be a great way to stay financially stable. However, it's not always reality. The 10% reflects the average over time, as you ride out the highs and lows. Read this shocking report to learn the average returns on some of the most popular investments today. What is the average stock market return since its inception? The average stock market return is around 7%. This takes into account the periods of highs, such as the 1950s, when returns were as much as 16%. It also takes into account the negative 3% returns in the 2000s. What is the average stock market return over the last 10 years? The last decade provided an average return of 6.88% in the stock market. The lower return takes into account the tremendous loss the market took in 2008. What is the average stock market return over the last 50 years? Over the last 50 years, the stock market saw an average return of 10.09%. 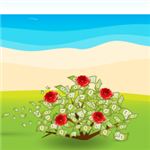 What is the average rate of return on retirement investments? According to Vanguard, over the next 10 years, investors can expect a 6.6% return on stocks in their retirement account. They can also anticipate a 3.1% return on bonds in their portfolio. Take advantage of this expected return. Learn how much you should contribute to your 401k. Don't have one? Learn about which retirement account type is best for you. What is the average rate of return on mutual funds? Mutual funds mimicking the S&P 500 make an average of 7-9% return. What is the average rate of return on bonds? Bonds provide an average return that is ½ of that of the stock market. Bonds usually provide a return of between 5 and 6%. What is the average dividend yield? The average S&P 500 dividend yield remains around 2%. What is the average rate of inflation? The last 10 years have produced a rate of inflation around 1.6%. However, this year, inflation hit just over 2% in April and May. How often does the stock market lose money? On average, you can expect a 10% drop in the stock market at least once per year. A larger drop, around 20%, occurs every 3½ years. Crashes, like we experienced in 2008 with more than a 30% drop, don't happen as often. Do you feel like investing in stocks is gambling? 73% of Americans feel the same. It's not gambling if you do your homework. Investing in stocks wisely require time and research. Got 15 minutes? 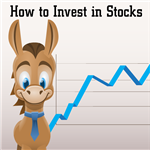 Learn the basics in our step-by-step guide on how to invest in stocks. What percentage of people lose money in the stock market on average? According to Openfolio, only 33% of investors lost money in the stock market in 2016. However, looking at 2015, only 30% of investors made money. While the gain in 2016 was only an average 5%, it's better than any savings account will provide. What percentage of people invest in the stock market? Today, just about half of Americans invest in stocks. This number is down about 10% from the early 2000s, when more than 60% of Americans invested in the stock market. 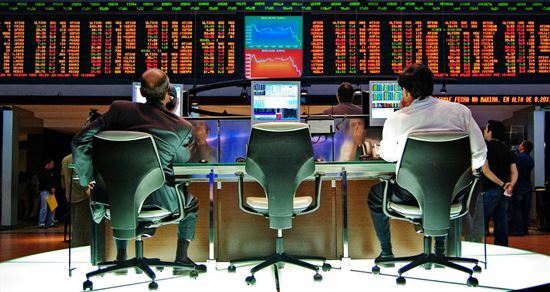 What percent of the stock market is owned by individual investors? Households own an average of 38% of the U.S. equities market. What is the average return on emerging markets? Emerging markets produce an average return of 14.9%. What percentage of millennials invest in stocks? Only 20% of millennials invest in stocks. This means 80% of 18-34-year-olds are not investing. Breaking this down, it means 60 million people are not investing. The biggest reason they aren't investing isn't student loans, though. It's due to a lack of understanding of the stock market. Another large reason is lack of cash. What percentage of Generation X invest in stocks? 51% of Generation X invest in stocks. This may come as a surprise as Gen Xers have had to live through two stock market crashes and the housing crisis. 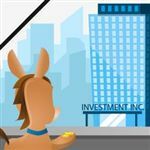 How much does the average investor need to invest in stocks? Today, investors don't need much to invest. You can even start with $5. How much should you invest? That depends. In reality, you should have at least 6 months of funds set aside for an emergency. Once you are secure, then you can invest with as little as $100. On average, though, investors need $1,000 for solid investments. Money's tight. It seems like an impossible task to balance surviving today with protecting your future. You want to trade, but afraid hefty trading fees will eat up your earnings. Consider Ally Invest, an investing platform with industry-low rates. What is the average return on high-yield bonds? High-yield bonds have an average return of 12.4%; however, this includes the explosive growth in the year 2009. Without 2009, the average return on high-yield bonds is 9.3%. What is the average return on corporate bonds? The average return over the last year on corporate bonds is 4.15%. What percentage of people invest in bonds? Only 2.4% of Americans invest in bonds. Of those Americans, most are among the "very rich." This number is down more than 2% from 25 years ago. How much does the average investor need to invest in bonds? The average investor puts 25% of his portfolio in bonds. This helps balance out the risk of high-risk investments, such as stocks. How much does the average investor need to invest in mutual funds? Investors typically need between $500 and $3,000 to invest in mutual funds. The return on your investment could change at any given time. The early 2000s saw some serious lows. But most markets have made a decent comeback. With the right long-term goals, you can ride out the lows and take advantage of the highs. Lots of people struggle to build financial independence. Maybe you're searching for ways to afford a house or planning for retirement. It's important to start investing as soon as you can to reach your goals. To start, check out the latest promotions for Ally Invest. Share on Facebook "Average Stock Market Return Will Surprise You"